These all have a manual switch. Mods can cost 2-6 times as much as a standard e-cig, but (the battery housing) can last for years, rather than weeks or months. 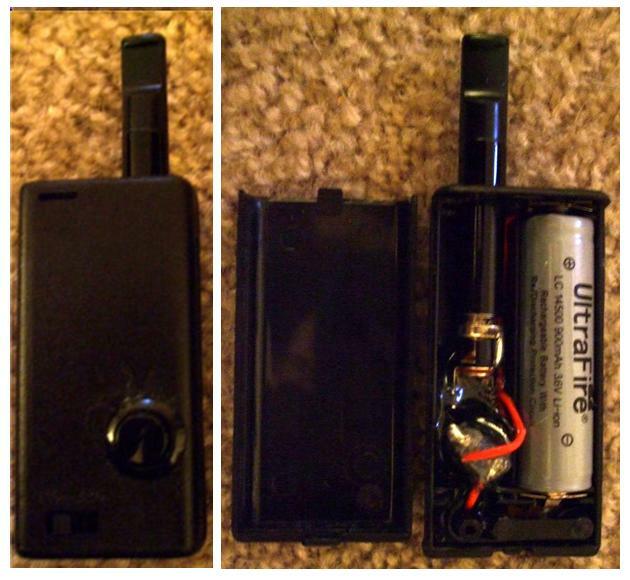 As we have previously mentioned, these electronic cigarette battery mods are housings for generic batteries … and some batteries are safer to use than others. It is strongly recommended that you use only “protected” batteries in your mod. Such protection can be in the form of a PCB (printed circuit board) built into the battery and/or the battery’s chemistry (e.g., LiFePO4 or LiMN is safer than Li-Ion). 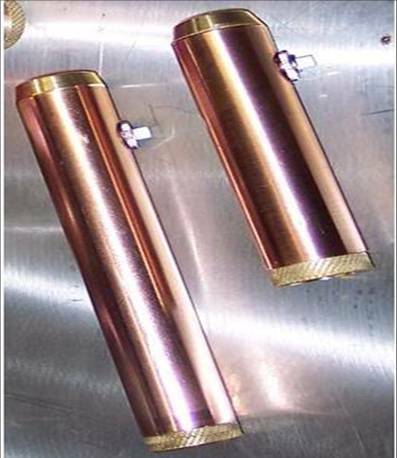 Also ensure that safety features such as venting are built into the mod itself … especially if you will be stacking batteries (which increases risk). 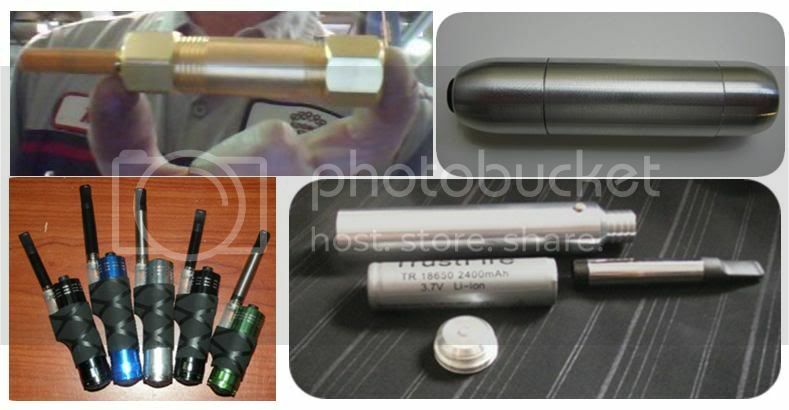 Some manufacturers/suppliers (e.g., AltSmoke) explicitly warn customers against stacking batteries in their mods. 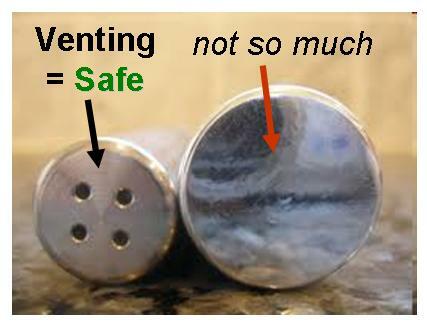 Unfortunately, many vapers ignore this warning and/or use unprotected batteries. Fortunately, most have not had problems, but accidents do happen and there have been a couple serious ones. 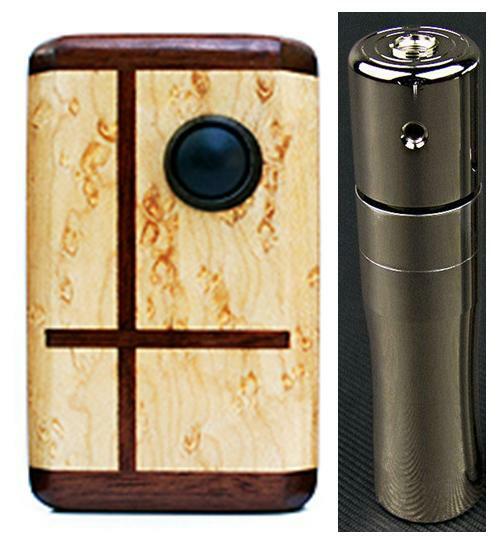 Unlike the electronic cigarette models in the preceding categories, most commercial battery mods are not mass produced, but are handmade in the modder’s workshop (e.g., kitchen table or basement) or manufactured in small production runs. 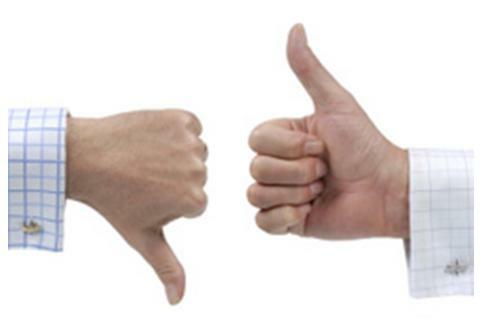 So not nearly as many units of any one model, but in the intervening year since I wrote version one of this guide – and more than any other category – there has been an explosion in the number of models to choose from. There are now over a hundred … many with capabilities only dreamed of a year ago. What I will do here (on this and the next two pages) – in narrative form – is offer seven parameters to use when selecting among electronic cigarette mods and provide examples (including up-to-date prices and links to relevant suppliers) with, of course, lots of photos. Also on that last page of this Mods section is a Mods Wrap-up – providing suggestions for putting this all together when making a purchasing decision. Two of the classic tubular mods are Trog’s Screwdriver (still sold: MKI full kit for $80, MKII for $50) and Puresmoker‘s Prodigy V1. More recent examples included the $120 Meucci Moochie (based on the 18650 battery) and $29 14500-based DSE905 V4 … and see the models on the left hand side of the Size parameter photos. 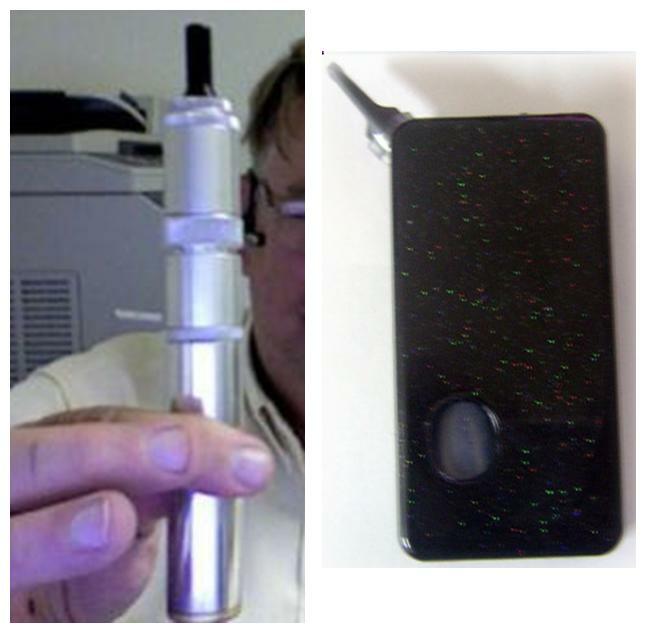 Virtually all box mods (hobbyist or commercial) are variations on / enhancements of nicowolf’s NicoStick, a hobbyist mod made out of parts from Radio Shack. Shown below are exterior and interior views. 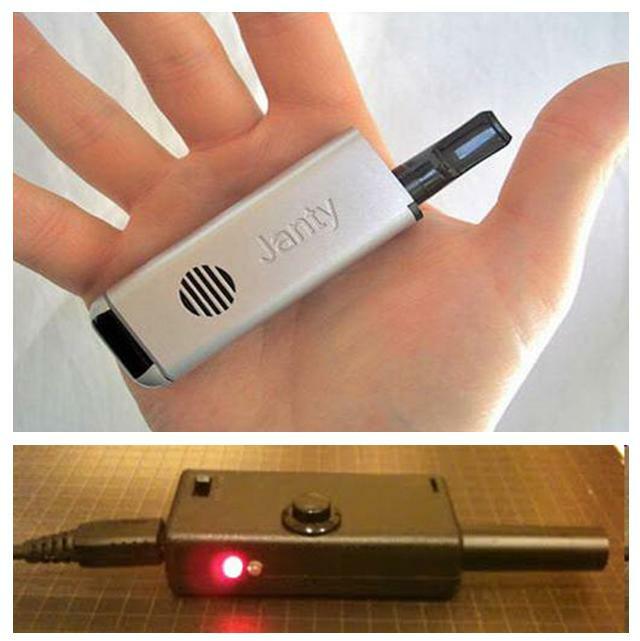 The first commercial example of an electronic cigarette box mod was the Janty Stick (aka Joye Stick) V1, now in its third iteration for $50+. Another popular box mod that has been around for awhile is the $50 Bartleby … and see the models on the right hand side of the Size parameter photos. …and even to giants like the GG Telescopic Storm with AFS and the Carlos JuiceBox (not to mention the Vapezilla shown further above). …and to any additional features (e.g., juice feeder) it contains, as well as to the effectiveness of its design and aesthetic considerations. 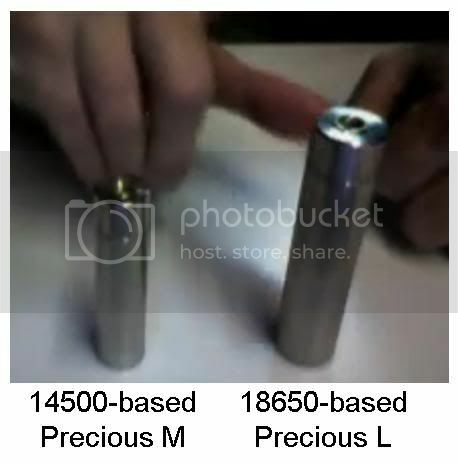 So the 14500-based Precious-M is, of course, smaller than the 18650-based Precious-L.
…but the aforementioned Ali’i and Precious-L are smaller than they … and the Precise 18650 shown below is the most slender. 3.7v, 5v or 6v vaping???? Im considering a 5V mod. Help point me in the right direction. Ego/Riva? Lr attys and ohms? Out growing my eGo, help! Is it too early to get into mods? Who should i throw my money at?